Ever wondered how it is to drive a compact car without compromising on the sports aspects of a reliable and fast roadster? 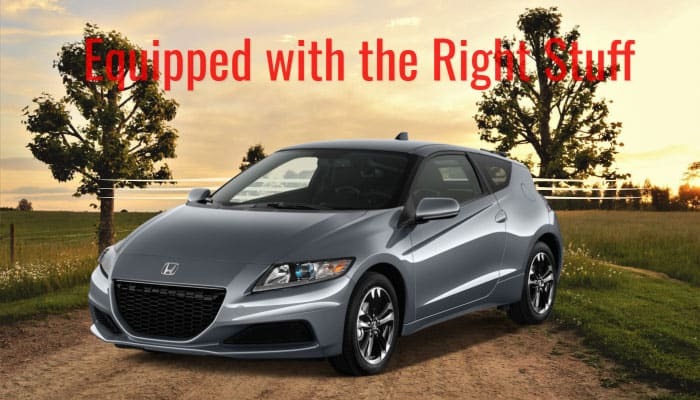 Look no further than the ever-impressive Honda CR-Z! Perhaps one of the most distinct traits that this sport compact hybrid vehicle brings to the motoring world is that it is marketed as an all-around car. A jack-of-all-trades, the Honda CR-Z may have had a colorful and topsy-turvy street history – but don’t let that stop you from wanting to take this car out for a spin, for this ride is definitely out to make a difference soon. A key highlight of the CR-Z that you may want to know is that sales have been bad in the European and Australian market, forcing Honda to phase out this car. However, seeing the potential to improve and leave a lasting mark in the motoring world, the latest Honda CR-Z has been promised to only offer the best in driving ingenuity. Of course, it may be too early to say on what kind of impact the latest CR-Z can give for a driver – as such, we’d like to make sure that you and our other readers are equipped with the right information on why the CR-Z is a car you can definitely rely on. Focusing on its jack-of-all-trades aspect, the Honda CR-Z does have several key factors that’ll make it stand out among other cars in its vehicle sector. The information we’ll be sharing below should address these factors – and hopefully, make you and other see the CR-Z in a different and better light! First and foremost, the Honda CR-Z is a car that will truly leave a lasting impression among drivers and pedestrians alike. The polygon grille design, with an eight-point accent, and built-in diffuser are standouts that make this car a sight to behold. The front and rear bumpers perfectly fit the machine, providing a balance in safety functions and style. The EX-L trim level, incorporated outside and within the car, is a touch of style and high performance that drivers will truly appreciate. Also, a solar wing motif can be visibly seen and appreciated, giving the car a sportier look. Inside, the CR-Z brings its style enhancements a notch higher. Keyless entry and push-button ignition start are standard enhancements in CR-Z models, marking a tech-savvy and forward-thinking approach in driving and owning this car. Heated leather seats bring an additional layer of comfort and safety for drivers, and the car’s audio and infotainment features are excellent additions for a relaxing and exciting drive. 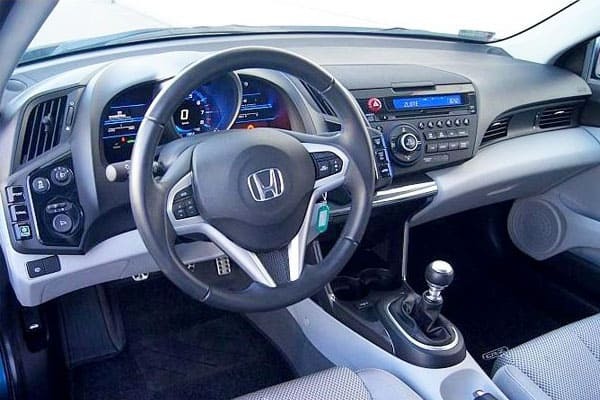 Additionally, the center console works as an armrest – a subtle yet well-appreciated feature for individuals who plan to take the CR-Z out or long drives and the like! 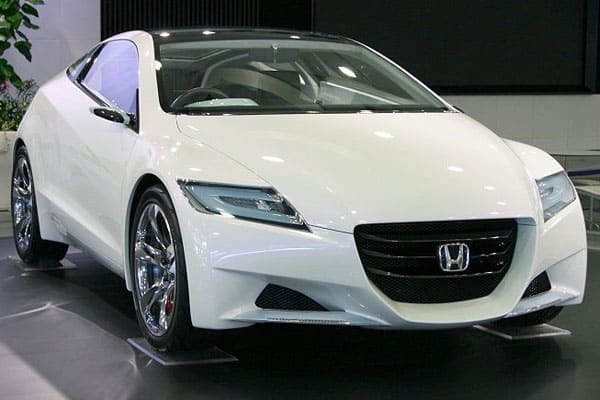 More than how impressive the Honda CR-Z looks, this car is packed with impressive and powerful engineering wonders that will definitely make each drive a thrill to be in. Powered by a 1.5 liter i-VTEC engine and an Integrated Motor Assist (IMA) hybrid system, the CR-Z gives optimal power whenever and wherever a driver demands for it. With a 135 horsepower output and 171 Nm torque, the CR-Z is definitely a small car that packs a punch on the road. Another high-performance aspect this car has is the Active Noise Control with Active Sound Control system (ANC with ASC). This innovative feature cancels out engine sound, further elevating the car’s sound system (if it’s open) and even making silent drives a thrill to be in. The ANC with ASC system definitely makes city driving an even excellent experience – considering the high possibility of heavy traffic and stressful conditions driving in the urban jungle can give to any driver! Best of all, the Honda CR-Z hybrid engine means that this is the car to be in and when one wants to contribute in saving the Earth. Given the honor of being an Advanced Technology Partial Zero Emissions Vehicle (AT-PZEV) in the United States, the CR-Z’s environment-first technology and performance means that it takes contributing to a greener place for everyone as a high priority. Have this in mind – a car that can deliver a high-performance driving experience and allowing you to contribute in leaving a green mark for the environment is a motoring highlight that you’d want to be part of! And with more people driving this sort of vehicle, imagine how wonderful this world we’re living in can be! And we couldn’t stress this enough – how often do we all get an opportunity to contribute in saving the environment? Even more so by getting a chance to drive a car that will grant us motorists to have an eco-friendly mindset? A jack-of-all-trades, perhaps, but the opportunity to be environmentally-conscious may just be the biggest contribution that the CR-Z can give to a driver. 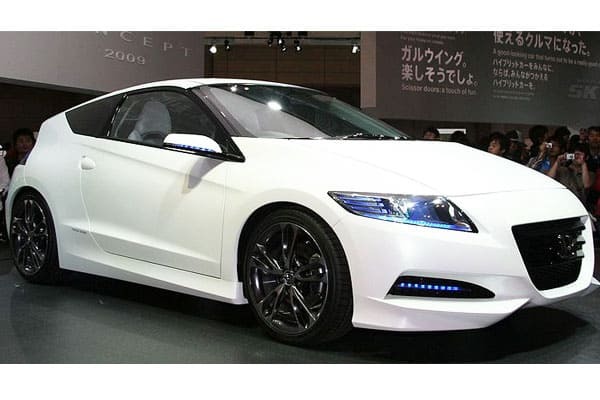 And this is just why we’re excited for the latest Honda CR-Z. More surprises may be in store for us all, and improving on the best aspects that this car has is a treat that we can all agree that will excite us to get behind the wheel! We’ll make sure to update you all once we get more information on the latest CR-Z – make sure to check our page every now and then! Additionally, make sure to check out our other articles to get the latest news on other great cars in the motoring scene today!